Back of the Cereal Box: Kid Icarus: A Kid No Longer? Kid Icarus: A Kid No Longer? 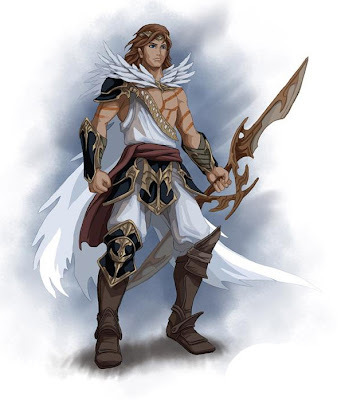 The video game whose title lent itself long ago to my AIM screen name and, subsequently, the URL of this blog, is rumored to appear soon in a new Wii game — his first starring role since the Game Boy title Kid Icarus: Of Myths and Monsters. 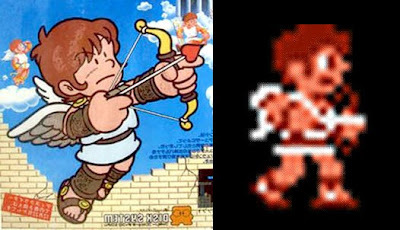 This is the Kid Icarus protagonist — whose name, most people don’t realize, is “Pit” and not actually “Kid Icarus” — looked like in his NES glory days. And here’s his updated appearance, as per the recent Nintendo battle royale Super Smash Bros. Melee. And here’s what he’s rumored to look like in the alleged Factor 5 reboot to the series. As soon as I read your title, I wondered idly if they gave him to Samus as a love interest. But yes, I can see how this development must be irksome. 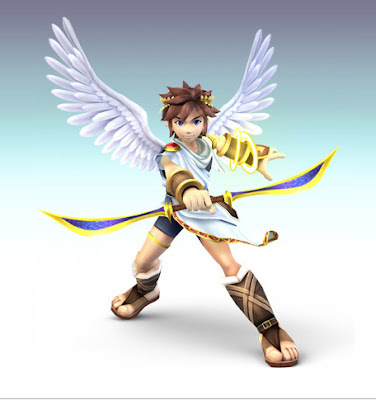 I don't have the same nostalgic attachment to Pit as you, but even I think turning him from an armed Cherub to one of the Angels of the apocalypse seems off. Did You Hear a Bell Ring?